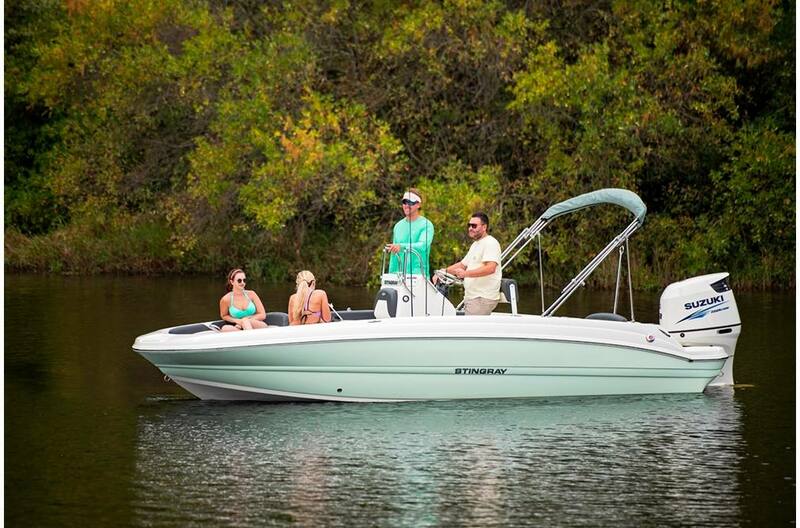 The 20-foot 206CC Deck Boat is a center console fishing boat and family deck boat rolled into one. 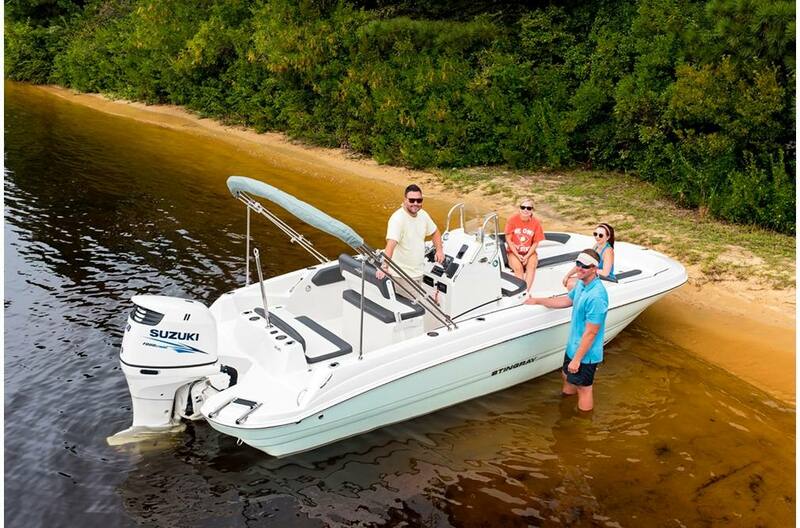 The versatility alone makes it perfect for families with varied on-the-water interests. 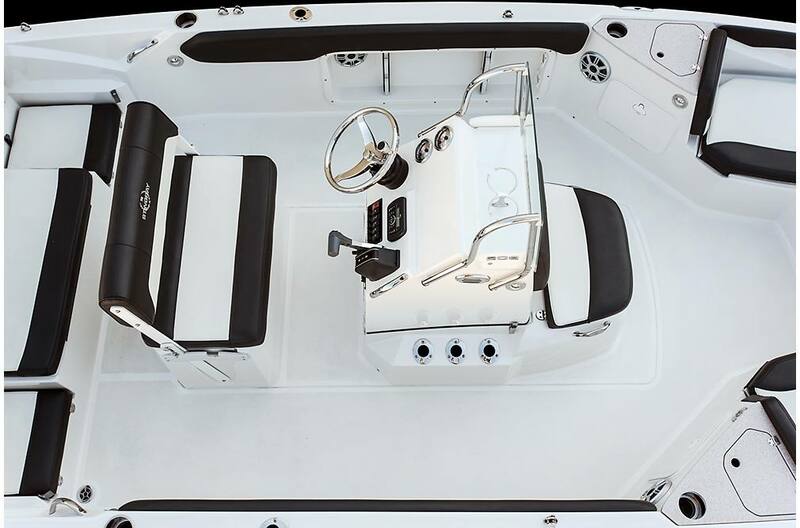 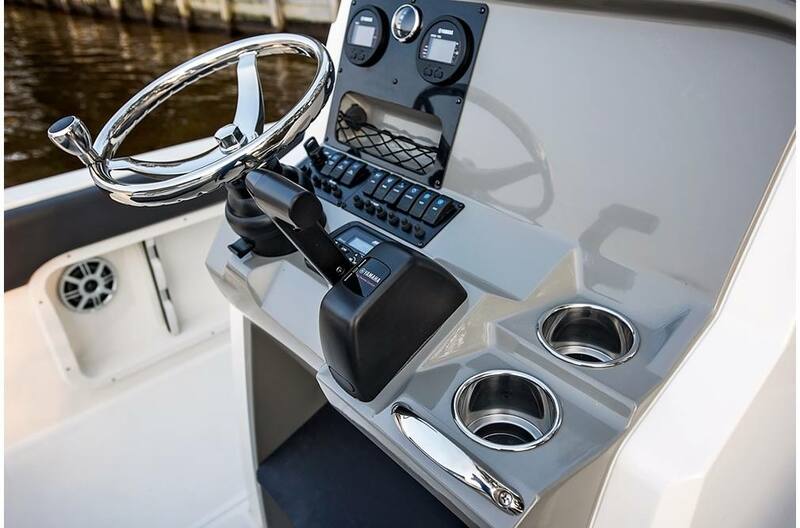 For the anglers, a low profile design makes it easy to navigate in low clearance areas, a helm seat for two has an adjustable seat / leaning post for fishing, a clean dash design leaves room for a 10-inch fish finder / plotter, the main helm seat lifts to reveal a conveniently located 26-gallon live well, and the forward bench offers an 18-gallon cooler that can be upgraded to a live well. 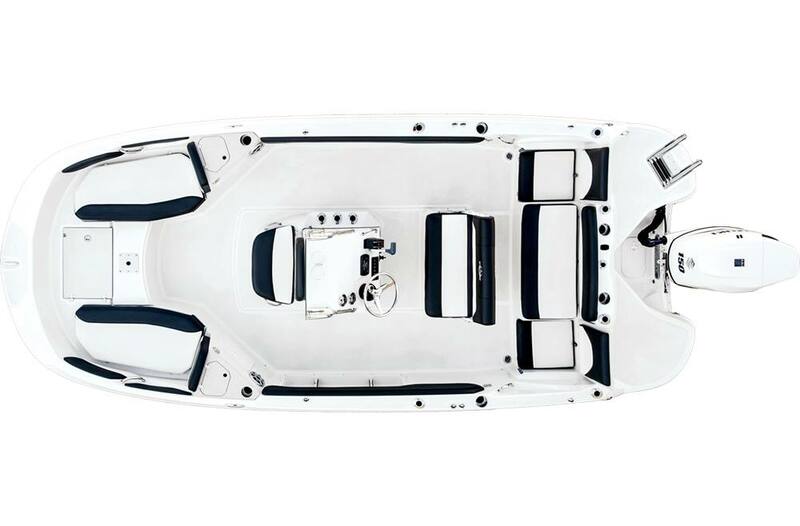 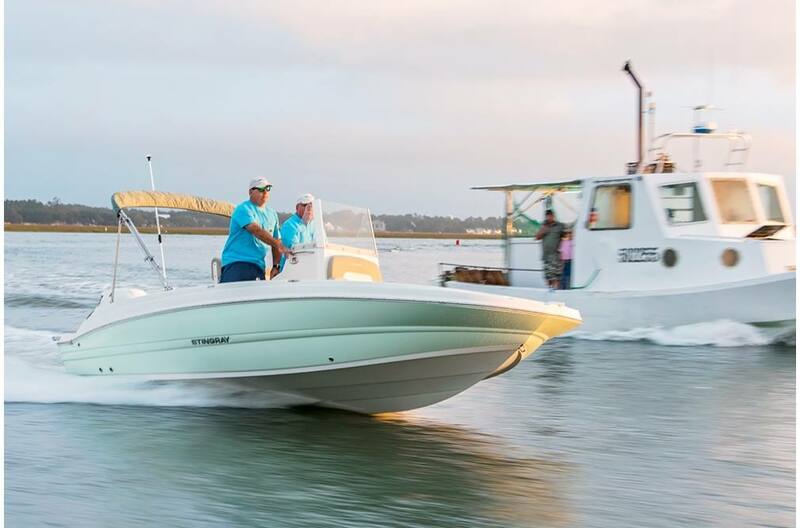 The walk-around access, combined with the large foredeck, makes it easy for anglers to quickly move around the boat. 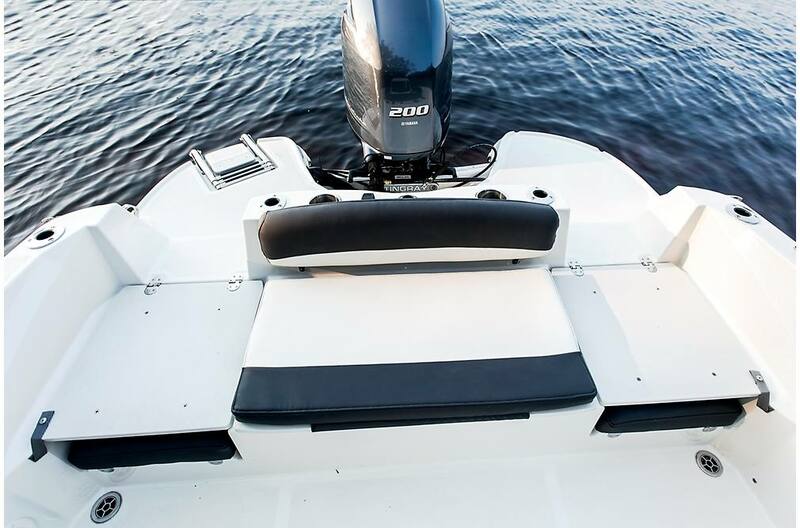 Additionally, two rear seats lift up for seating and quickly fold down for use as casting platforms. 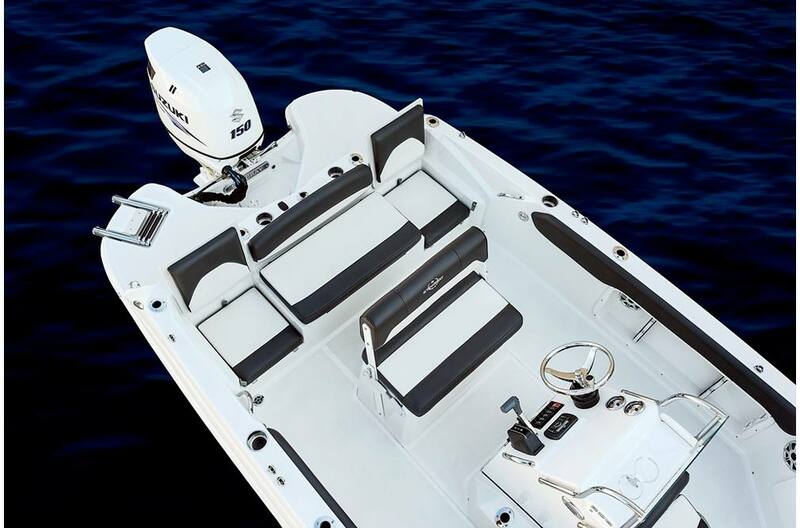 Fishing rods are easily accessible thanks to abundant rod storage on both sides of the boat. 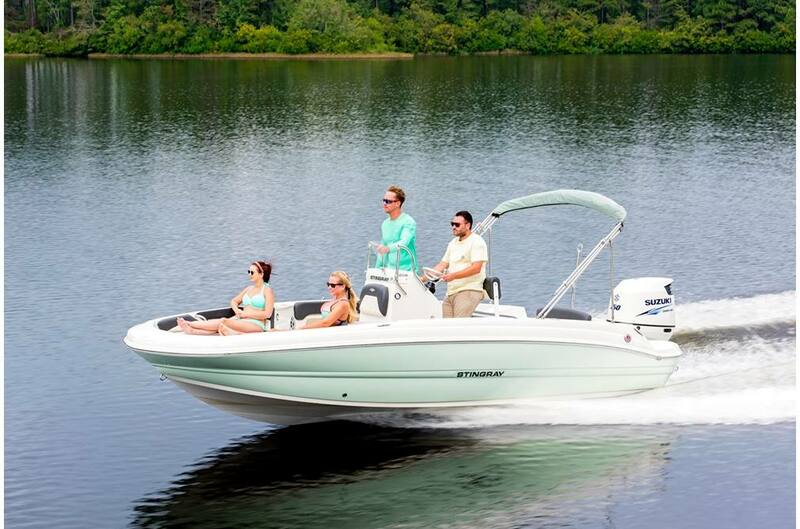 For a day out with the family, it offers lots of space for maneuvering about, plus seating for nine passengers. 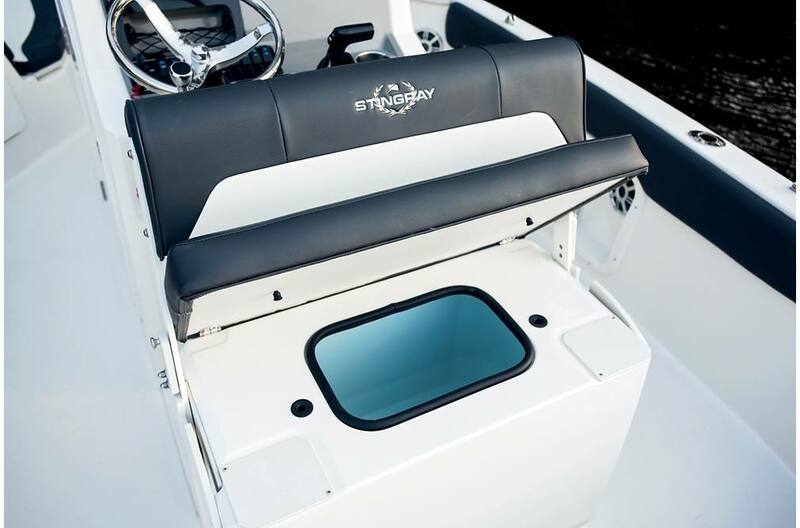 To ensure that none of the deck area is cluttered when headed out for a day on the water, STINGRAY designers effectively made use of all the space on board to incorporate lots of storage areas around the boat. 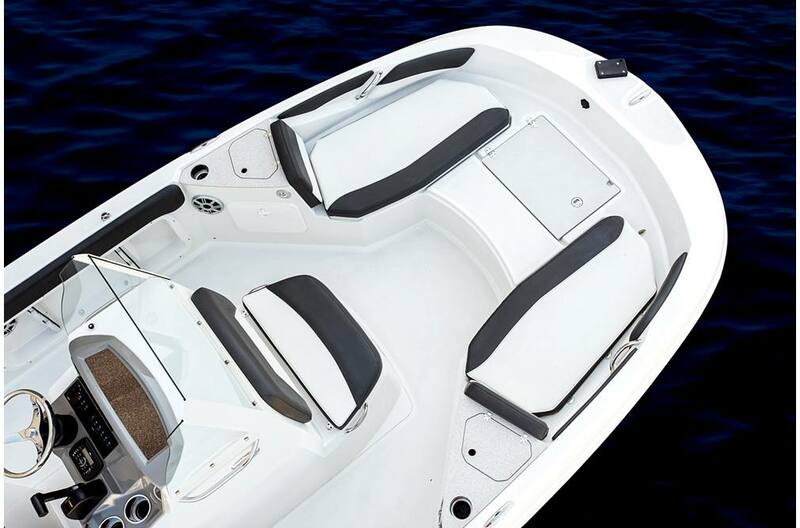 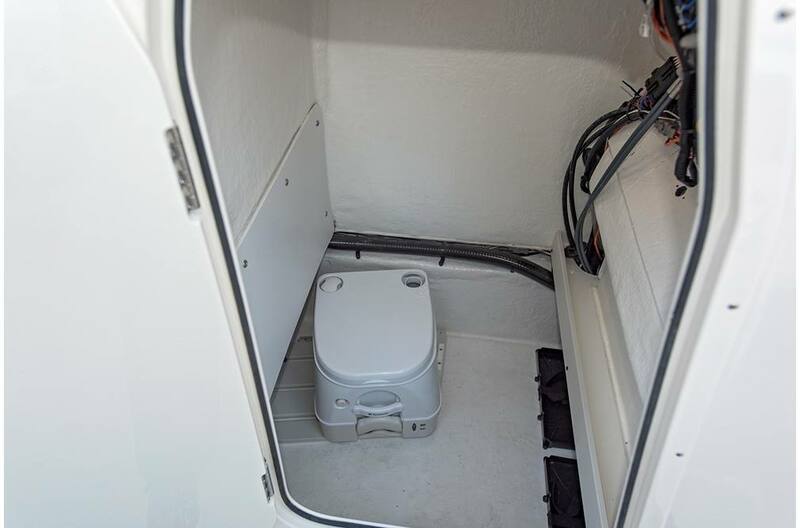 The two rear flip-down seats make it easy for your passengers to enter and exit the boat from either port or starboard.